At Uncle Bill’s Pet Center, we not only offer Huggle Hounds dog toys for sale, we also employ a highly trained staff that can assist you in finding the appropriate toy for your dog. 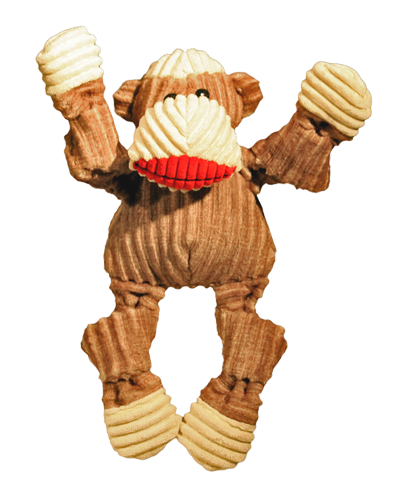 The Sock Monkey Knottie is super cute and soft. Each toy is super tough and has those bright red lips! Lined with Tuffut Technology to ensure even the toughest chewers will stop and pause! Each toy has 5 squeakers. We will be glad to work with you to ensure that your pet enjoys quality toys for optimal health and happiness by providing the best selection and value on premium dog toys for sale in Indiana.